OWINGS MILLS, Md. – In watching film this offseason, Lamar Jackson realized the biggest problem with his consistency was mechanics. Over the past two months, Jackson threw the ball every day during the week in Florida, looking to improve his timing, footwork and ultimately his accuracy. He completed 58.2 percent of his passes last season, which ranked 37th in the NFL among quarterbacks with at least 100 attempts. 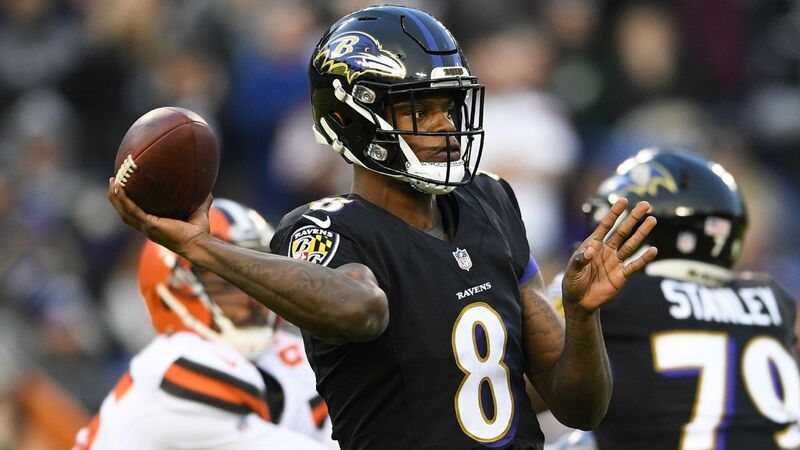 As a rookie, Jackson replaced injured Joe Flacco around midseason and led the Ravens to their first AFC North title in six years. But he proved to be more dangerous as a runner than a passer. In the playoff loss to the Los Angeles Chargers, the Ravens struggled for the first time to run the ball with Jackson and failed to move the ball when they had to rely on Jackson’s arm. His 48.2 completion rate ranked as his worst all season. The biggest question surrounding the Ravens is whether Jackson can take the next step in the passing game. He was the only starting quarterback in the playoffs whose completion rate fell below 64 percent. Jackson took off January before beginning to throw again at the start of February. Under the guidance of his former high school coach Joshua Harris, Jackson threw to Ravens receiver Jordan Lasley and Louisville receiver Jaylen Smith. Some of Jackson’s struggles can be chalked up to inexperience. Of the five quarterbacks drafted in last year’s first round, Jackson had a better completion percentage than everyone except Baker Mayfield (63.8 percent). Where Jackson has to make the most strides is his throws to the sideline. He was the NFL’s worst quarterback on passes outside the numbers, completing 47.8 percent of them (33-of-69). Jackson believes widening his feet when throwing the ball will boost his success on the longer throws to the outside.